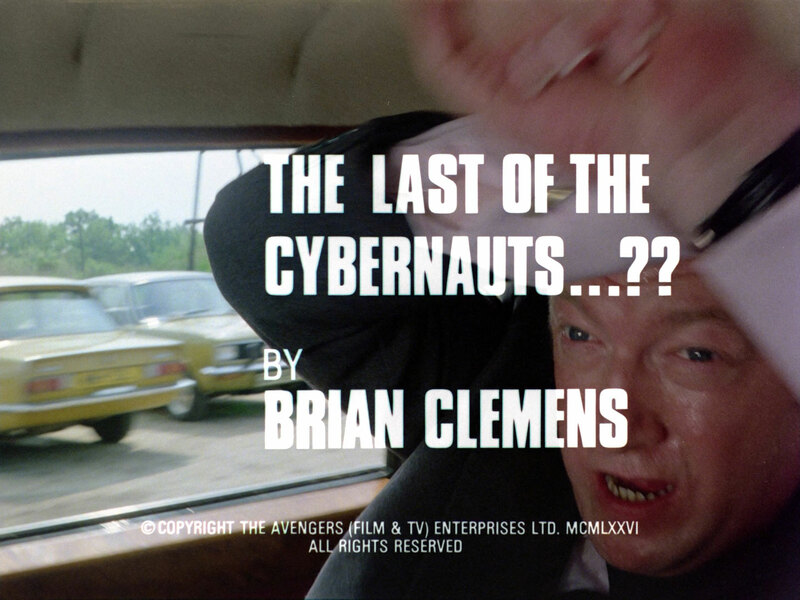 The New Avengers : The Last of the Cybernauts...?? The Last of the Cybernauts...?? It's Steed's birthday and the New Avengers and Steed's girlfriend Tricia (Davina Taylor) are gathered around the piano when Terry (Eric Carte) stumbles in, badly injured, saying he's identified a double agent - Felix Kane, and gives a rendezvous before dying. Next day, the New Avengers spring the trap and the villains try to escape; Kane's contract is knock cold after crashing into a parked car, while Kane (Robert Lang) suffers a more horrible fate, being engulfed in the explosion from a fuel tanker he collides with. It's Steed's birthday, and a crowd is gathered around the piano... Steed is pensive, thinking of the previous year but his current belle, Laura (Sally Bazely) consoles him better than Purdey & Gambit's sympathy and leads him back to the party. Meanwhile, Frank Goff (Robert Gillespie) is released from prison where he's been serving time for developing the original cybernauts for Professor Armstrong. He's intercepted by Malov (Oscar Quitak) and brought at gunpoint to Kane's op-art hideout. Kane is consumed with hatred for the New Avengers, and seeks Goff's assistance in destroying them with cybernaut technology (sound familiar?). He wants Goff to help him find Armstrong's secret storehouse of cybernauts. Mrs. Weir (Pearl Hackney) cleans Steed's house after the party, demonstrates a viruosity on a miniature synthesiser and is warned not enter the guest bedroom, if she's a woman of high morals, until tomorrow. 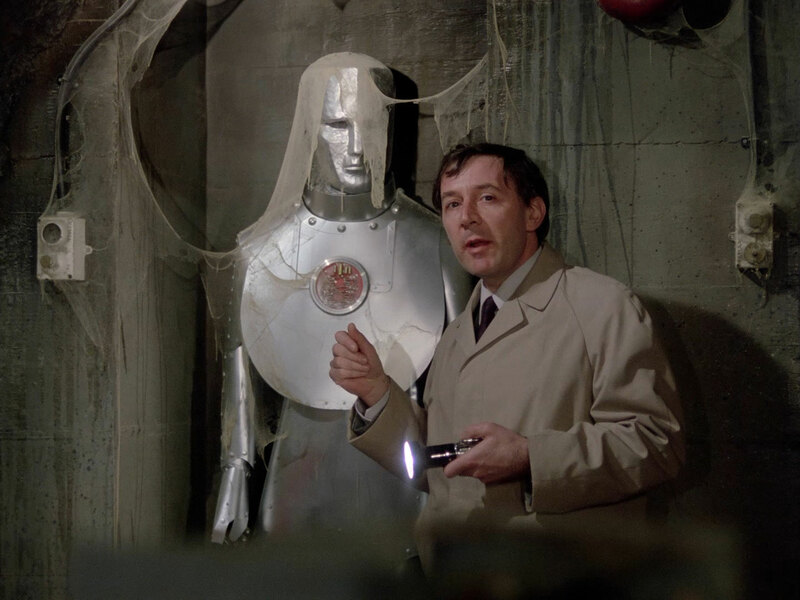 Tom Fitzroy (David Horovitch) calls, warning Steed of Goff's release. Meanwhile, Goff, Kane and Malov investigate a derelict mansion and find the storehouse; Goff indicates he knows how to programme and control the cybernauts, as he built them for Armstrong in the first place. Fitzroy sneaks in when Steed's practicing snooker and is clobbered for it, he then tells Steed that Goff has vanished without trace. 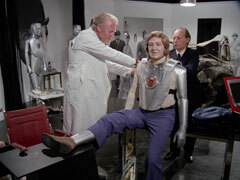 Goff has meanwhile completed Kane's wheelchair-mounted cybercontrol and Kane tests it - killing Goff with the cybernaut (Rocky Taylor) when he admits being unable to extend the capabilities of the cybernauts. Mason wakes in Kane's lair and is ordered to work for Kane, he refuses but is finally coerced, after the threat of torture and bribes have failed, by threats against his daughter's life. Kane reveals his destroyed face as his motivation and Mason says he'll need equipment from Turner Laboratories. At the laboratories, Steed learns Mason was working on cybernetics from Doctor Marlow (Gwen Taylor); she flirts with him and he suggests the cupboard, shocking her as, unlike him, hasn't heard the approaching cybernaut. He's knocked out, and awakes to learn Mason's 'seducer' - a particularly incisive computer - has been stolen. Kane tells Malov they must eliminate all traces, and sends the cybernaut to take care of a prison warden named Foster, despite the link to them being tenuous. Not too tenuous, however, as Purdey takes Gambit to the flat of J.B. Foster - a prison warden with a gambling problem who was one of only three people to know Goff's exact release date. They arrive too late to save him but Gambit dents the cybernaut with his fist, and they combine to destroy it. 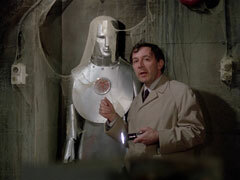 Fitzroy finds Kane's fingerprints on the cybernaut. Two weeks later, Gambit's bandages come off but they've had no sign of Kane, Steed tells Gambit to guard Purdey. Meanwhile Mason declares he's fulfilled the bargain, and starts suiting Kane up in a cyber body which will make him superhuman, but Kane will not release Mason until he has tested it in the field. 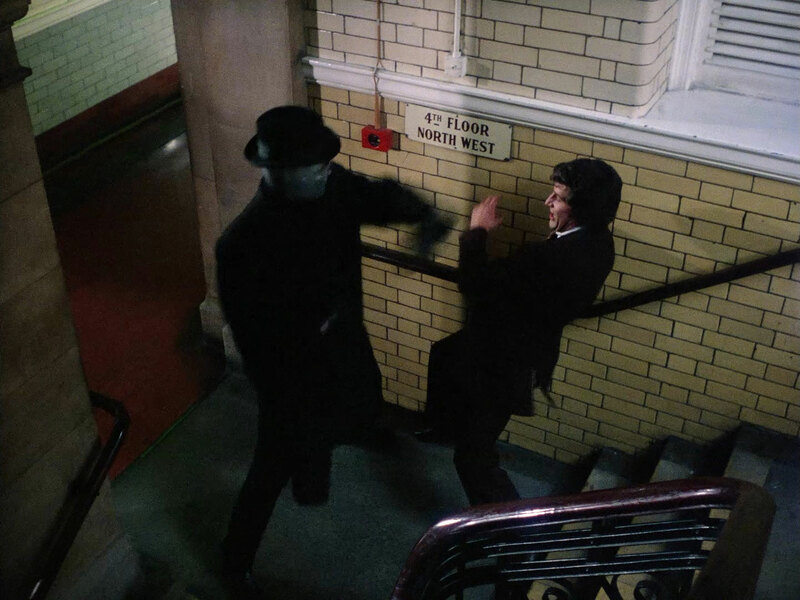 Kane leaves to attack Purdey and Mason attempts to escape Malov by using a cybernaut, but is shot. Gambit, on guard duty outside, is crushed between two cars by Kane. 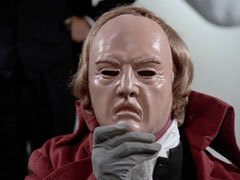 Mason comes to and warns Steed that Purdey is in danger, and Kane is half cybernaut. Kane arrives and Purdey defends herself well, but ineffectually (at least she manages to have some of her hideous furnishings destroyed). Steed arrives and revives Gambit, then they burst into Purdey's apartment with cans of plastic skin which they spray on Kane, seizing up his limbs and causing his cybernetics to short circuit.